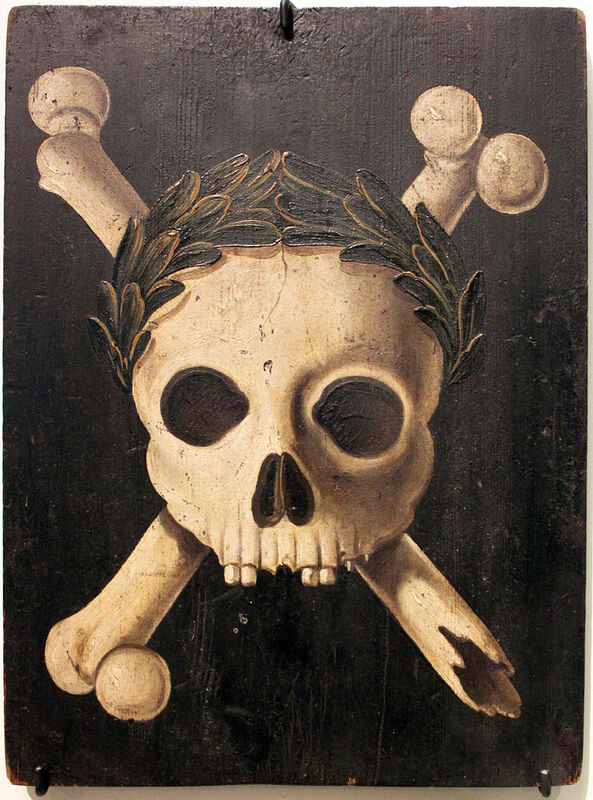 The personification of death goes back centuries, with Thanatos of ancient Greece and the pale horse rider of Revelation. 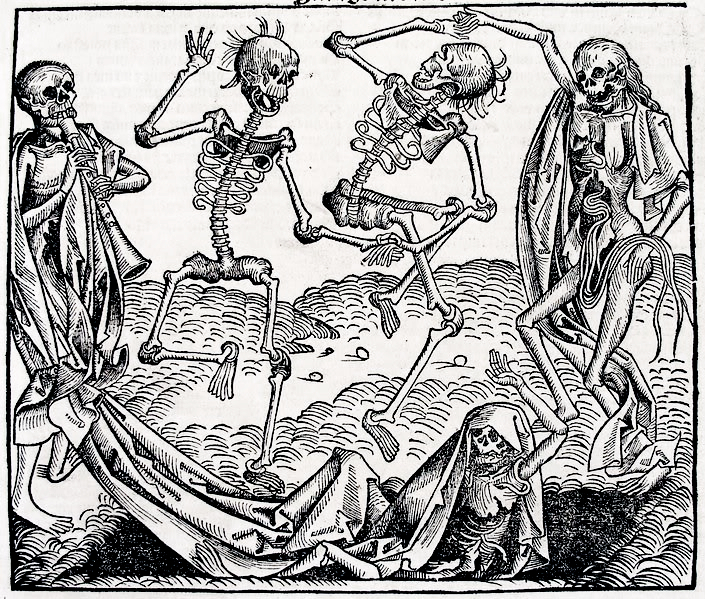 Death as a skeletal grim reaper, however, was cemented as a symbol during the plagues in Europe, which stretched from the 14th to 18th centuries. 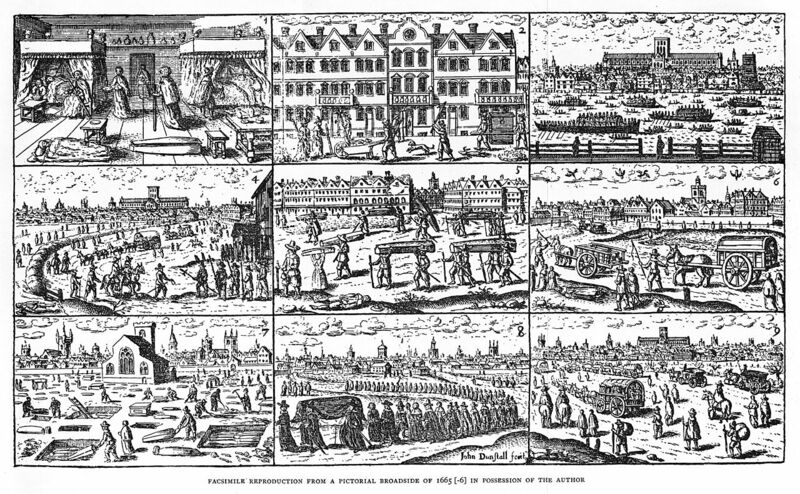 This year marks the 350th anniversary of the Great Plague (1665–66), the last major outbreak of the bubonic plague in London. 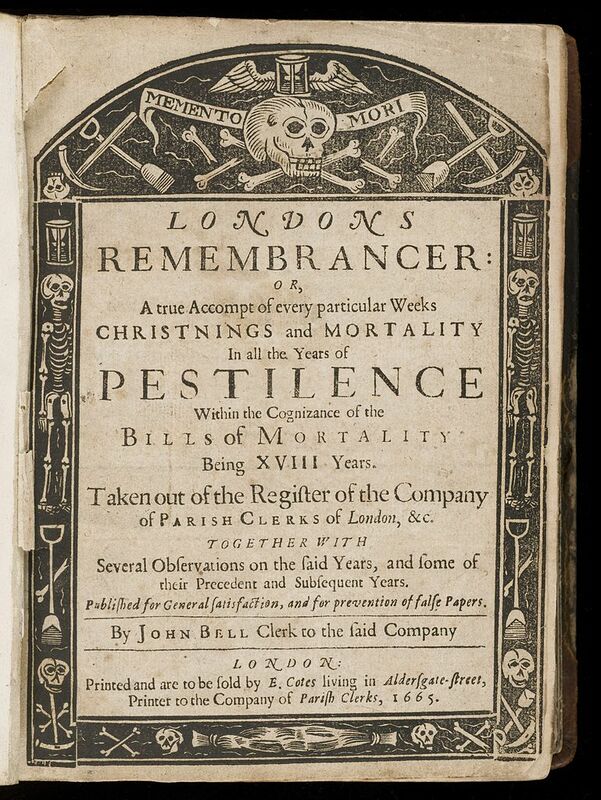 To coincide with the anniversary, the Guildhall Library is hosting London’s Dreadful Visitation: The Great Plague, 1665, an exhibition that features printed plague material; some of it, like the “Bills of Mortality” that counted weekly deaths, reveal the period’s macabre imagery. Archaeologists have also been excavating a burial pit as part of a new London rail link project, discovering 30 victims who were all interred on the same day. Meanwhile, the Crossrail Project shared a 360-degree video view of the in-progress study of the believed 1665 Great Plague pit. There’s some evidence that rather than an abyss of naked bodies tossed together, limbs tangled in rot, coffins were in fact still being used — in other words, some respect was still being given to the dead despite the huge death toll. 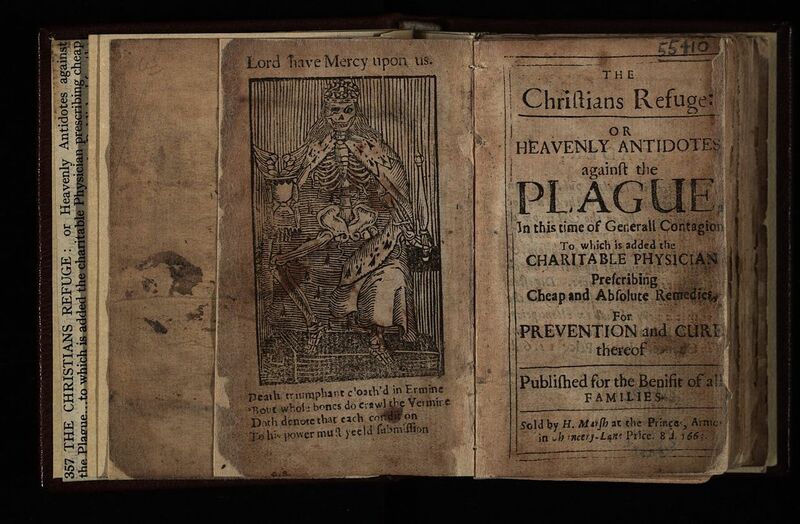 Over three centuries later, the impact and history of the Great Plague are still evolving. 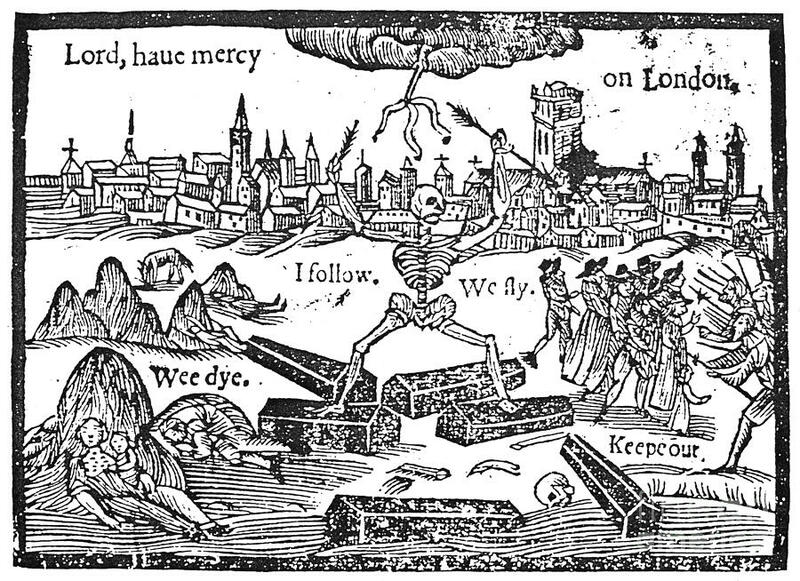 In early modern England, death was a common visitor, coming in many shapes, but however horrifying and dehumanizing they were, leprosy, smallpox, and syphilis, famine, war, and murder in plague-time became lesser manifestations of death. 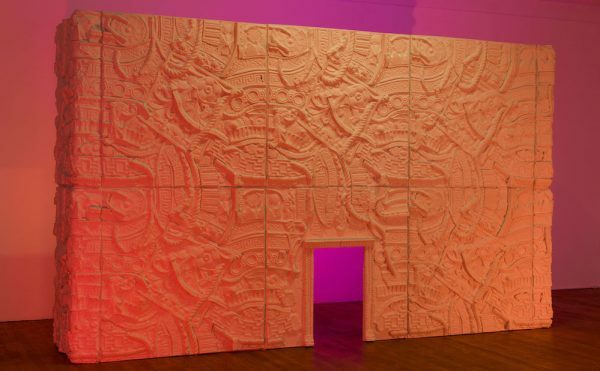 […] No other disease altered physical, social, religious, medical, and civic behavior and beliefs at once, generation after generation, and sometimes decade after decade, year after year. A map shared by the Guardian shows the density of burials in 1665. 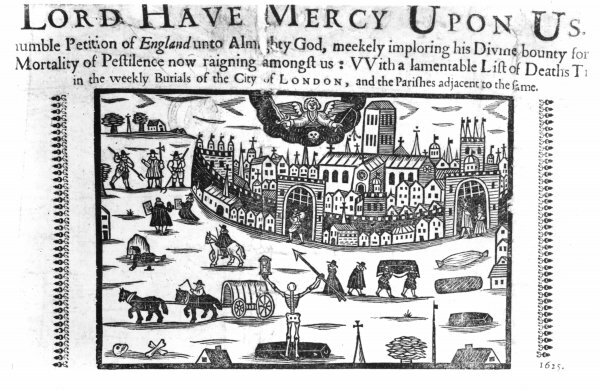 At the conclusion of 1666, it’s estimated that up to 100,000 people were dead from the plague — a quarter of the city’s population.